Minor League Baseball and Rawlings Sporting Goods Company, Inc. today announced the nine Minor League Baseball players who have been chosen as the Rawlings Gold Glove Award winner for defensive excellence at their position. 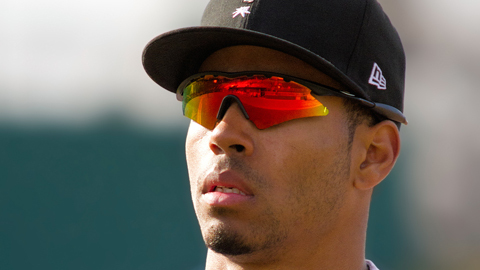 The Lansing Lugnuts' Dalton Pompey was selected as the receipient of the 2013 Rawlings Gold Glove Award as the top defensive center fielder in all of Minor League Basball. The Rawlings Gold Glove Award recipients at the Minor League level are selected among qualifying players from the 10 domestic-based, full season leagues. Pompey, a native of Mississauga, Ontario finished 2013, his first full season in Lansing, with 223 putouts, eight assists and zero errors while making several spectacular plays covering the confines of Jackson Field at Cooley Law School Stadium. He was named a Midwest League All-Star this season as well, delivering at the plate during the all-star game with a walk-off single in helping the East to a 6-5 win over the West.